A start-up billed as developing "the world's first truly smart conversational interfaces" is one of three businesses chosen to participate in an accelerator programme being launched by Asos along with Wayra UK. Action.ai describes its products as "smart chatbots that transform experiences". Its website says: "A transformation is occurring in the way people interact. Action.ai takes the power of human language and applies it more pervasively to computing, opening up new ways to complete tasks and engage with businesses and systems." The other two companies joining the programme are Wishround, a group purchasing platform that allows friends to easily split the cost of expensive gifts; and Xpreso, a delivery solution that aims to eliminate failed deliveries by planning them to be sent to a person wherever they are, rather than a specific location. The three companies will join the accelerator programme of Wayra UK, which is part of Telefónica's start-up investment and support platform Open Future_. They will receive mentoring from experienced coaches on how to scale their business, office space in Wayra’s central London academy, and access to both an investor and to Asos and Telefónica’s local and global networks and customer bases. 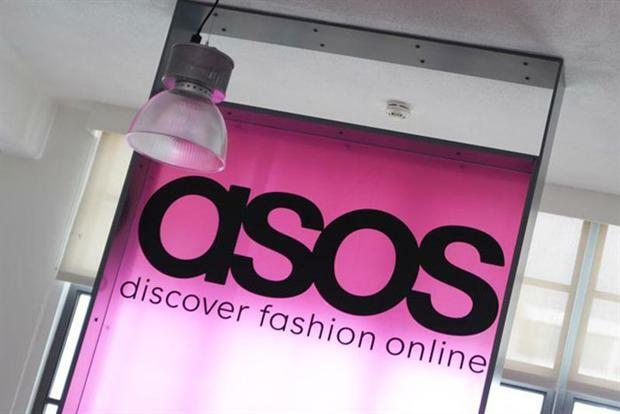 The programme is one of three being run by Asos, along with Asos Supports Talent, in which the fashion retailer is supporting artists and creative people to develop their passion projects; and Asos Fashion Discovery, which has awarded grants of £50,000 to two emerging fashion brands, Elissa Poppy and Hanger. Cliff Cohen, chief information officer at Asos, said: "Fashion evolves incredibly quickly, as does technology, and we need to be ahead of trends in both sectors in order to best serve our customers and partners. "These start-ups are each on the cutting-edge of fashion tech, and I hope that as a result of this accelerator programme they will not only disrupt existing processes, but also help Asos in its mission to get the most exciting products to the consumer, in the most effective way."